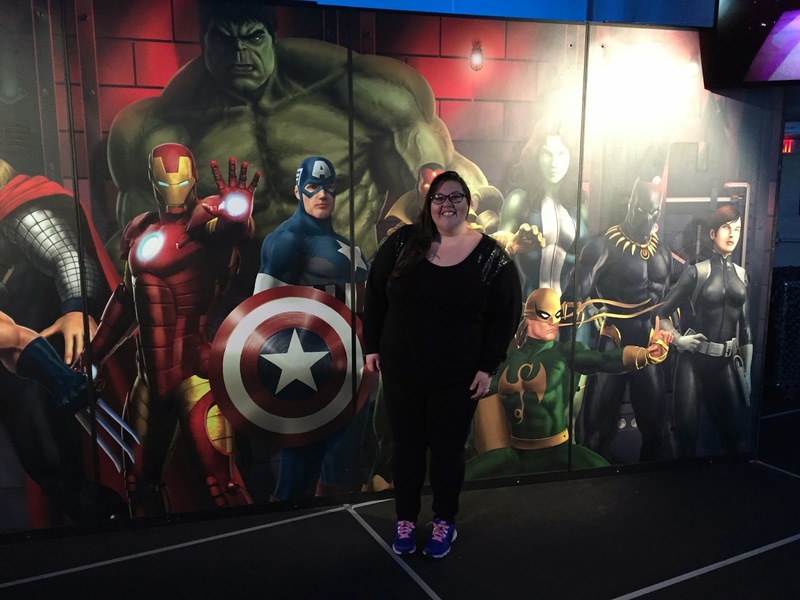 Adam and I had the pleasure to check out The Marvel Experience last week! It was A-MAZING! We cannot wait to tell you how we loved it. And we're excited to host a giveaway, too! 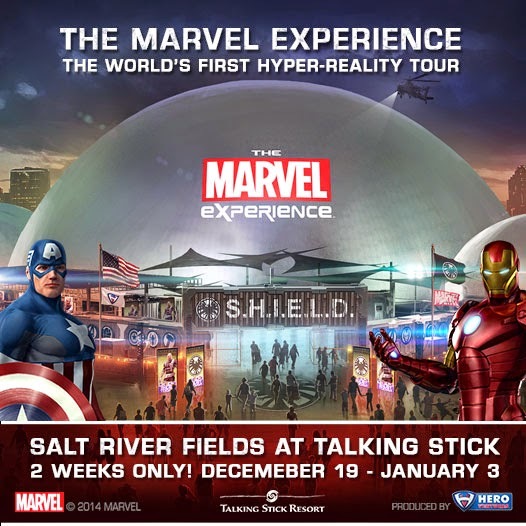 One lucky reader will win 4 tickets to check out The Marvel Experience in Phoenix running now until January 3! Also, when you go, you can expect to create a profile where you can track your progress as you build your skills working to support incredible superheros like Spiderman, Iron Man, Captain America, Hulk, Wolverine, and the list goes on! 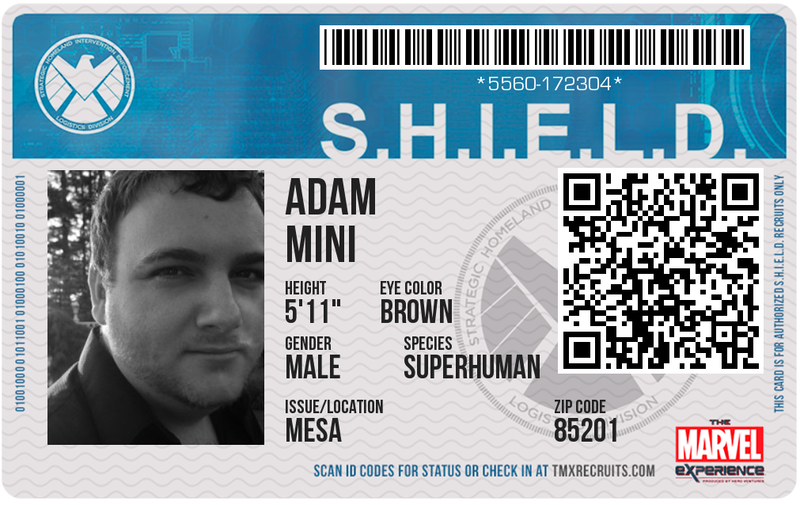 Adam and I had a lot of fun with creating our unique, S.H.I.E.L.D. ID cards! 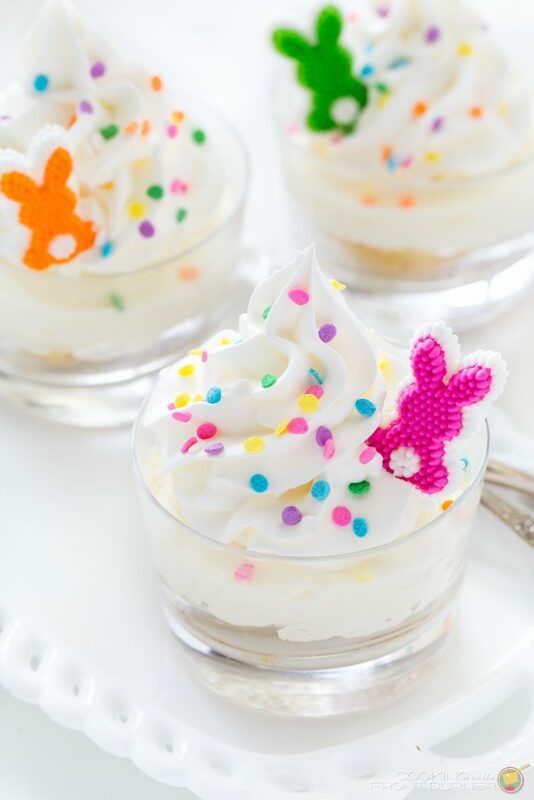 You can also create them online ahead of time, too, if you want save yourself on some time. 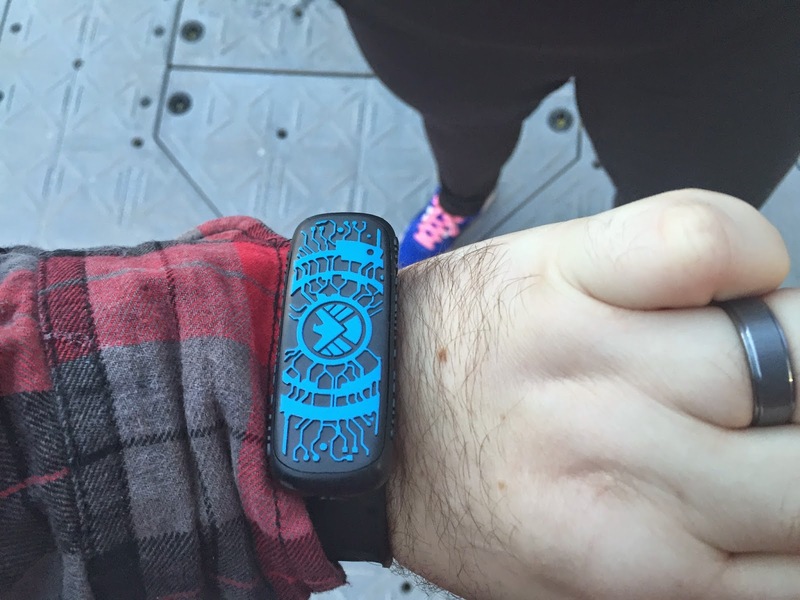 And check out this cool tracker everyone gets to wear to collect your S.H.I.E.L.D. progression! Adam did a nice job modeling it, right? Without sharing too much and ruining it for you, as you can see, the set up is fantastic! This is just a photo of what anyone would see if you drove to the event and stayed outside: the S.H.I.E.L.D. security gate! Everything was such a fun time--there are lots of places to take great photo opps, too! If you live in and around the Phoenix area, I would highly recommend checking it out before time runs out! Oh and I would recommend if you are on Twitter that you follow them for live updates! 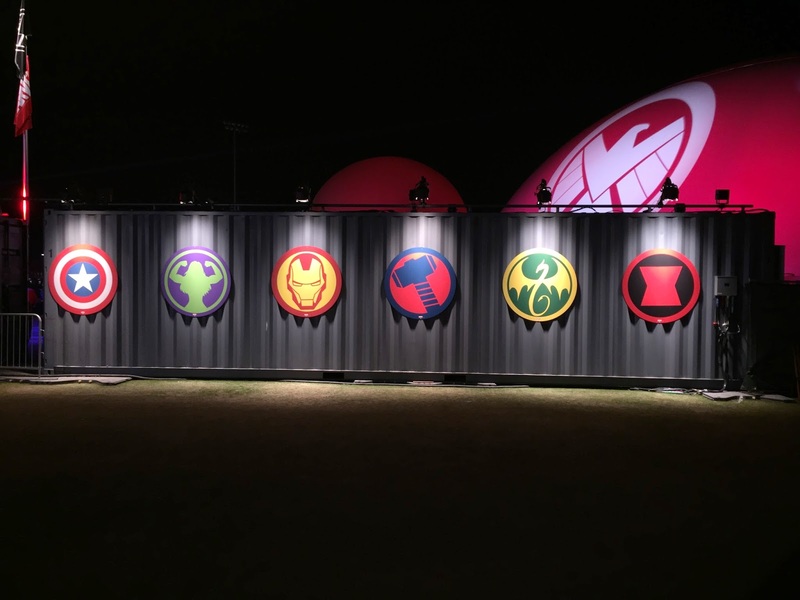 What I am hoping for is that they will be able to announce more cities they will be bringing The Marvel Experience to! Disclaimer: I was not compensated to write this post. All opinions are 100% genuine. I was given the opportunity to give away tickets on my blog. 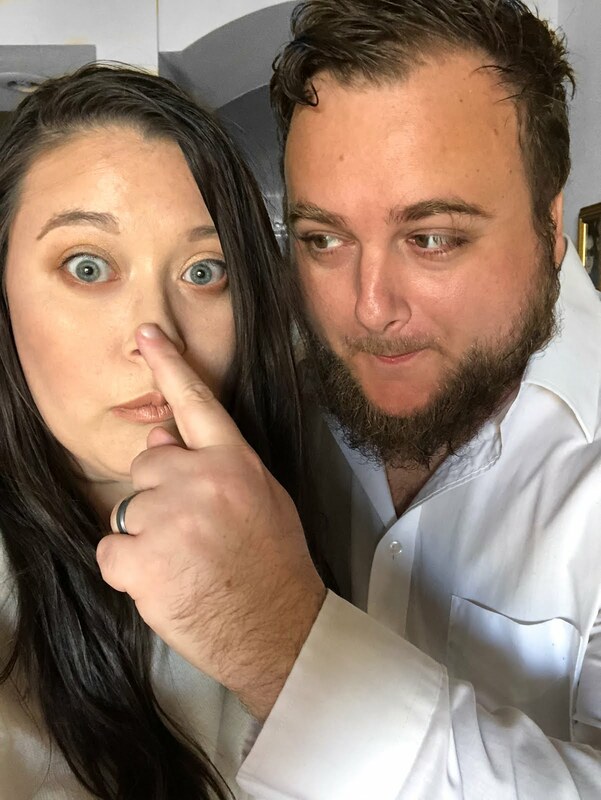 Dan and I were talking about doing this! It looks like a lot of fun! 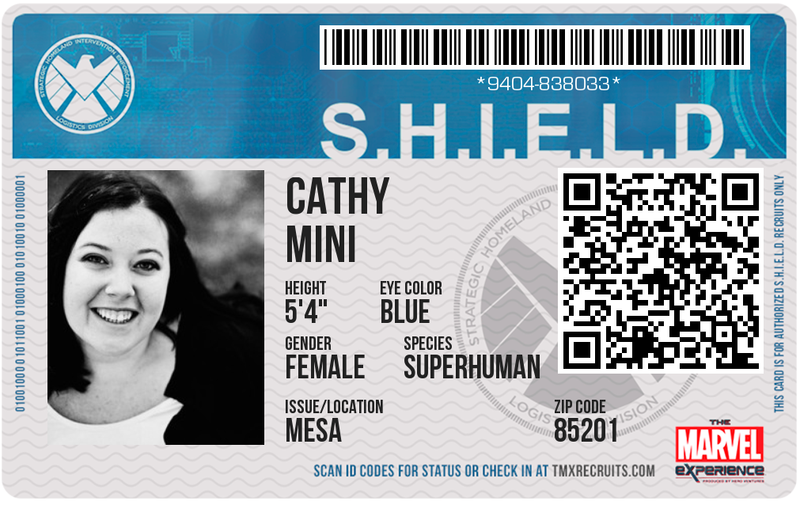 I love the ID card idea. Yeah I bet you and Dan would have a lot of fun!! Adam and I definitely did! Good luck on the contest! OH I hadn't heard of him! I bet Adam knows who he is! Good luck! And I am so excited for you!!! Have a blast!